Allison Adams offers art classes for homeschool students ages 6-18 in her home art studio in Plano, TX. Her students first learn to truly see and develop their sense of observation as they record their perceptions through a variety of mediums. Having gained confidence and proficiency through this "eye training", students embark on an exploration of art styles and experiences designed to enhance creativity.She is offering 50% off first month's tuition per semester for HEART of Texas members. The Animation Course - Chad Stewart, former Disney animator and homeschool Dad, offers 12 week LIVE - online animation and drawing courses for 11-18 year olds. Weekly classes are 1 hour long and include personal video reviews for individual learning! The next classes start the week of January 30th. HEART of Texas members are offered $25 off per student by using the code HEART. Bert Traux played trumpet with Dallas Symphony Orchestra for 23 years and has over 35 years of teaching experience. Bert is offering HEART of Texas supporters (with current member card) a 20% discount, for both student and adult lessons. For more information: Please call 214-789-3726 or email him at berttruax@mac.com. Breitling Youth Theater is happy to offer Heart of Texas members $10 off their annual family registration fee of $20. Cantare Performance Choir is offering HEART of Texas members a $15 discount off of annual tuition. Cantare is an auditioned choir available for exceptional 3rd - 12th grade singers in the NE Tarrant area. Previous experience is not necessary, however, an audition is required. The Cottage Theatre is offering a 20% discount off of all show tickets for HEART of Texas members. The Cottage Theatre is a faith based, family oriented and honor driven repertory institution providing opportunities for people to fall in love with live theatre. Creative Hearts for Thee grants HEART of Texas members (with a valid member card) a 10% discount. Please include Heart of Texas in the discount line and bring your member card to the first class for verification. Dana's Studio of Dance (with locations in Southlake and Keller) and the DFW Performing Arts Conservatory (located in Southlake) are now offering HEART of Texas members a 10% discount off tuition. Visit the website for details on their wonderful dance and fine arts programs that are available. Foot Works Performing Arts Center welcomes HEART of Texas members with a special discount of 20% off your first months tuition. Our dance classes include: jazz, lyrical, ballet, tap, tumbling, hip-hop, drill-team prep and clogging for children from 18 months to 18 years. Genesis Children’s Theatre will give a 10% discount off production tuition (once a year) for all HEART of Texas members. Lisa Emmick Music Studio - Lisa Emmick Music Studio offers a positive, nurturing and individualized approach for each student to develop a lifetime love for music. 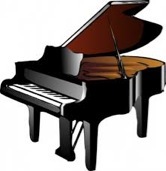 Piano and Flute lessons are offered in the White Rock area of Northeast Dallas. HEART of Texas members will receive a $20 discount off monthly tuition payments for daytime lessons. A trial lesson is offered for free! Little Music Maker Studio - Located in Bedford, TX Briana MacKinney has been teaching music for 15 years and offers music group class, band and private lessons for piano and flute. HEART of Texas members are offered a $5 discount for every private lesson and $8 off of music group class. Contact Briana MacKinney for details. Metro Praise Youth Orchestra - The Metro Praise Youth Orchestra is a by-audition jazz ensemble under the direction of a college jazz professor. We are open to Piano, Bass, Drums, Guitar, Sax, Trumpet, and Trombone. HEART of Texas members are offered 10% off program tuition and 10% off one-time purchase of uniform shirt & hat. North Central Ballet offers beginning ballet classes for children ages 4 and up. HEART of Texas members will receive a discount of $5.00 per month for up to 5 children a class, and a discount of $10.00 per month for classes of 10 children. Contact Les Jordan, Director or Brandon Bovre for registration details. North Texas Creative Arts Academy (NCTAA) offers home school classes and programs in theatre, music and dance. HEART of Texas members will receive a 10% discount on tuition. Park Cities Studios - Park Cities Studios offers world-class instruction for ages 18 months + in dance, singing and acting. Specific classes include Ballet, Jazz, Singing & Acting, Ballet / Jazz Combo classes, and the Morning Arts Conservatory. HEART of Texas members are offered 10% off tuition. Robinson Music Lessons offer fun, modern, and personalized in-home music instruction for every instrument. We are now offering all HEART of Texas members $20 off every package of 4 lessons and $80 off every package of 8 lessons. Shine is a family-friendly, faith-based performing arts studio for kids and teenagers to hone their skills in singing, acting, and dancing. Shine is waiving their $25 class registration fee for HEART of Texas members (with valid HEART of Texas Family ID). Sounds of Angels Violin Studio - Located in Bedford, Texas, between Dallas and Fort Worth, I teach students of all ages the art of the violin using the Suzuki Method, a universally recognized method that emphasizes parent involvement, ear training and starting at an early age, to name a few aspects. HEART of Texas members are offered a 5% off semester tuition discount. Tabitha Gordon is offering HEART of Texas members every 5th lesson free! Tabitha is a certified music teacher and offers Saxophone and Piano lessons to Pre-K through 12th grade students. Teach Me The Piano is a home-based piano studio in Frisco which is currently accepting new piano students (children and adults) for private piano instruction at beginner and intermediate skill levels. HEART of Texas members receive $5 off each months tuition. Texas Ballet Theater is offering HEART of Texas members special pricing for select performances at the Bass Performance Hall in Fort Worth and the Winspear Opera House in Dallas. Call 877-828-9200, opt 1. You must mention HEART of Texas Home School Discount Program to get the discount. Texas Ballet Theatre Dance School is offering a $50 Discount for HEART of Texas newsletter readers! The Texas Ballet Theater School is offering our readers a $50 discount on registration if you mention HEART of Texas. They currently offer classes during the day for 3 & 4 year olds, but if you have a group of at least 6 students who are close in age/ballet experience, they will try to put together a class for your students! Visual Manna will give a 20% discount to classes and CDs purchased for all HEART of Texas members. We have art kits, art supplies, and art curriculum and all kinds of art to reinforce core books for visual and kinesthetic learners. Creative Hands Art Studios offers HEART of Texas members 10% off their Art Programs and 15% off of their once-a-month Family Visit. Creative Hands offers Art, Art Classes, Clay Classes, Painting, Canvas and Art Crafts. Let us help you explore your imagination through painting, sculpting, & mixed media art! Beginning Piano Lessons - Harmony and Melody are college-aged piano teachers offering traditional beginner private piano lessons to children 4 to 14 at our parents’ home in Euless. Currently, our 30 minute weekly lessons are scheduled on Fridays only. You may enroll anytime as long as there are openings. A $5 per student discount off each semester’s tuition is offered to current HEART of Texas members. To register or for more information, please contact Cynthia at makingharmonyandmelody62013@gmail.com.